Ireland is a land of magnificent scenery. 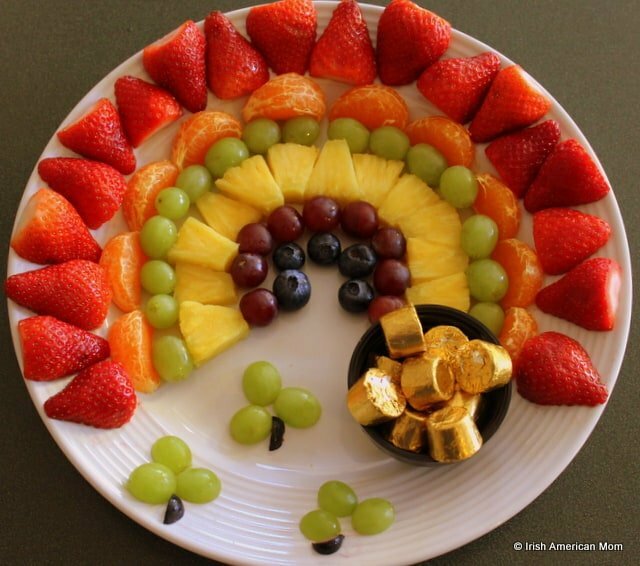 But did you know a trip to Ireland is not merely a feast for the eyes? 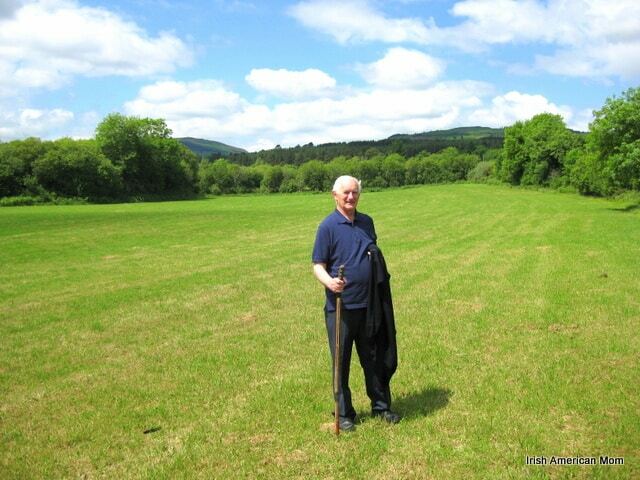 The Irish countryside not only stimulates the visual senses, but can at times over stimulate the olfactory nerve. Yes! That poor old nerve, that carries our sense of smell, works overtime when traveling around rural Ireland during the summer months. 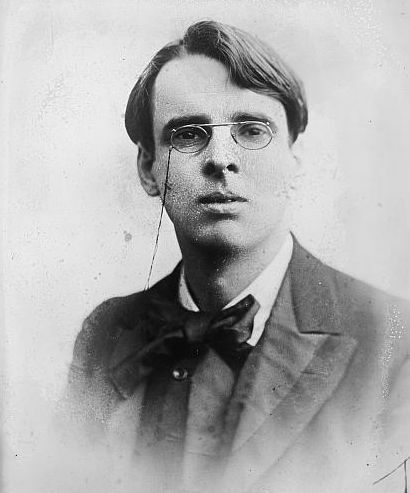 I know my blog post title might lead you to believe I’m going to wax poetically about the scents of newly cut turf in the bog, the delightful aromas of a freshly mown meadow, or the bracing sea air as you wander down one of Ireland’s many piers. But hold your breath! These are not the only airs you shall inhale on a tour of my homeland. Anyone, who has whiffed the not-so-sweet aromas of the Irish countryside will know exactly what I mean. Can’t you just picture a bus full of unsuspecting tourists casting incriminating glances at their fellow passengers, as their tour bus passes a stinky farm? The human nose can sense millions, maybe even billions of different odors, but let’s face it, there are some aromas that are distinctly Irish. Oh yes! 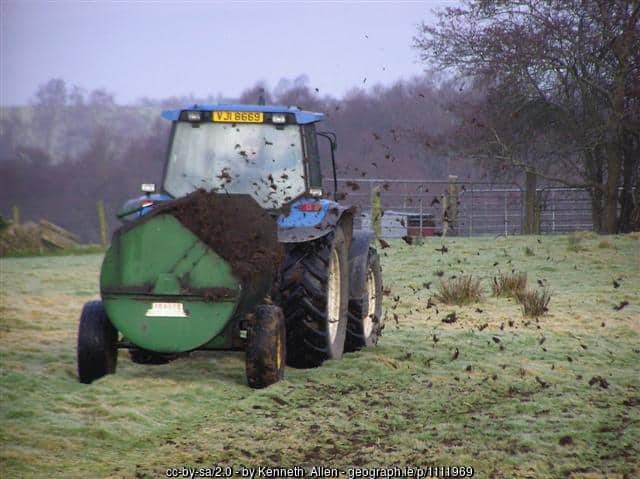 One of the main stinky culprits is none other than the Irish muck spreader. 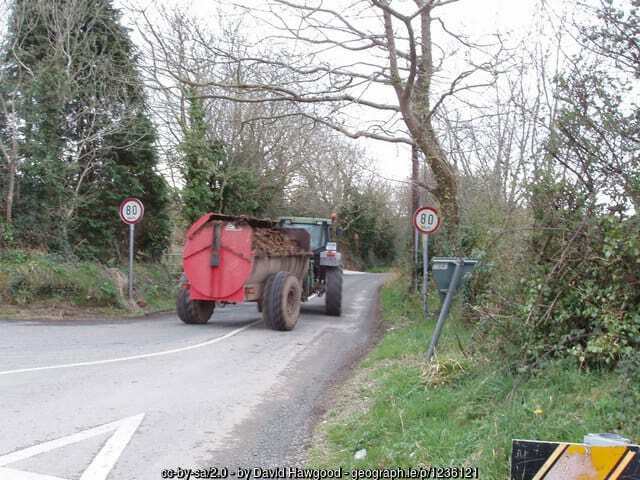 Who has ever been stuck behind one of these contraptions on a warm spring day, when there’s absolutely no room to overtake the tractor and its noxious cargo? Do you know what I mean? That pong leaves a lasting impression on any tourist’s mind. And the degree of toxicity is totally dependent upon the source of the slurry to be spread as organic fertilizer across those beautiful green Irish fields, we all love so much. Before a farmer spreads the infamous slurry upon his fields, animal waste is gathered and stored to allow it to decompose to create fertilizer. 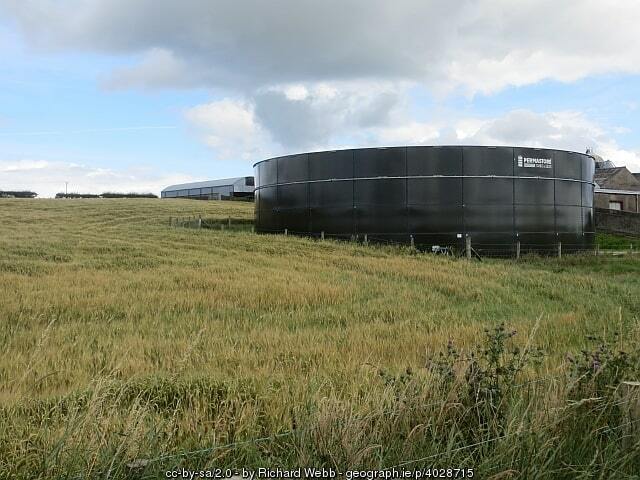 Hence, most Irish farms have a slurry pit or tank which is a large dam or container made of concrete or reinforced metal, for collecting the noxious byproducts of dairy, pig or poultry farming. And believe me, the deadly gases emitted from a slurry pit could bring tears to your eyes. So if a farm’s slurry pit is located near the road, and the wind is blowing in the direction of oncoming traffic, then let your nose beware. A true Irish country dweller can distinguish the slurry source with merely a single whiff. But when it comes to hen house droppings – put a clothes peg on your nose. Silage making can cause some terrible odors. 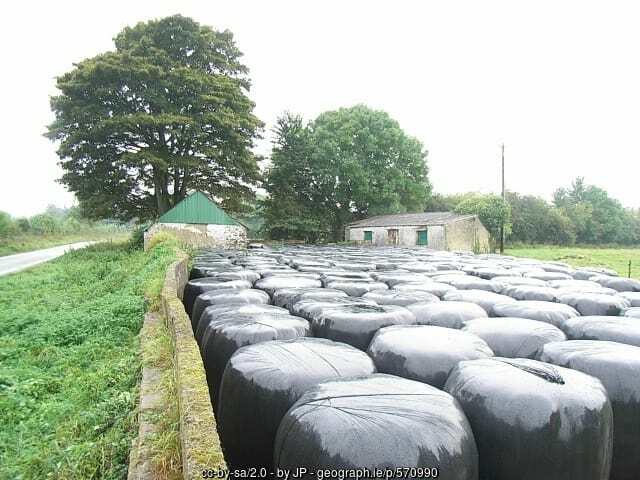 Irish farmers tend to make silage rather than saving hay these days. The rural aromas rise over the summer months during silage making season. Farmers may find the smell of silage to be pleasant and sweet, which is the case when silage is well made with grass that’s not too wet. When Ireland’s summer weather doesn’t cooperate and silage is made with wet grass, it can smell very unpleasant and acidic, especially to city dwellers who are unaccustomed to the bracing smells of the countryside. Perhaps I should mention a few more pong sources in Ireland, to round off this little tour of Irish smells. 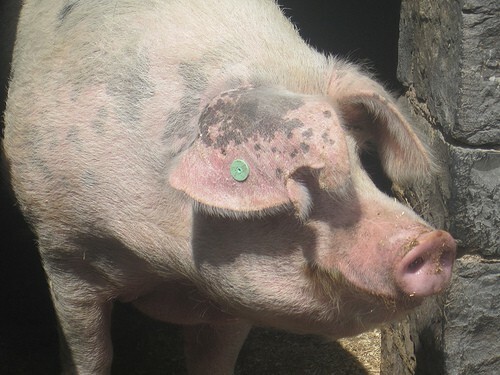 Pig farms generate a very unique stink. Sweet, yet pungent. Passing through Mitchelstown as a child, I distinctly remember the whiff of the cheese factory. And Killybegs in County Donegal stunk of fish, like no place else on earth. But I have learned new fish processing techniques have eliminated the offending aromas in this lovely Donegal town. Yay for Killybegs! And of course, as a Dubliner, I could never forget the childhood smells of the River Liffey. Those scents have been immortalized in Bagatelle’s song, Summer in Dublin. That’s the smelly price you pay for living in a city whose river is under tidal influence. When the tide is out, a stale seaweed smell rises. To me, it just smells like Dublin. Now just in case I have turned you off ever setting foot on Irish soil, let me reassure there are some magnificent aromas that can only be categorized as Irish smells. and last, but not least, the sea. And there you have it, a little ramble about the aromas of Ireland, both sweet and sour. 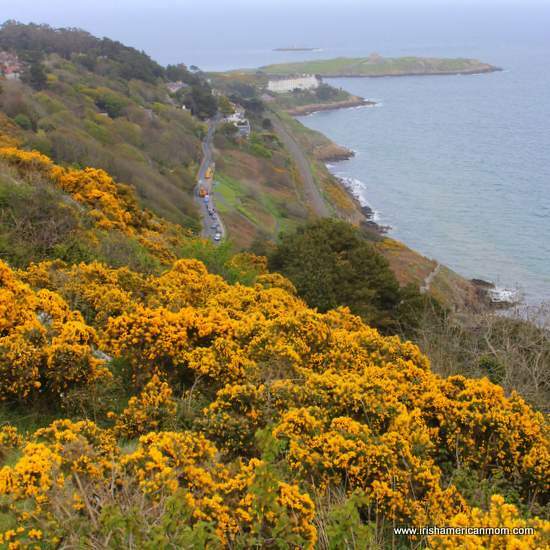 Do you have any stories to share about the smells of Ireland? Please do feel free to join in our discussion of Irish scents in the comment section below. I love it! I thought you were going to describe wonderful meadows and flowers. I can just imagine walking through the countryside, experiencing the different and changing odors. Now I want to visit Ireland more than ever! Hi Karen – There’s plenty heather scented air on the hills of Ireland, and salt soaked ocean breezes on the coast, but I thought it was important to let tourists know the busy summer farming season brings a whole bracing array of smells to the Irish countryside. These stinks are just part of what makes Ireland the island that we love. I hope you get to take a trip to Ireland some day. Thanks so much for checking out my ramblings. You never cease to make me laugh!!! Thank you for another enjoyable Irish reality check:). Love it! Hi Deidre – I’m so glad you enjoyed this post. 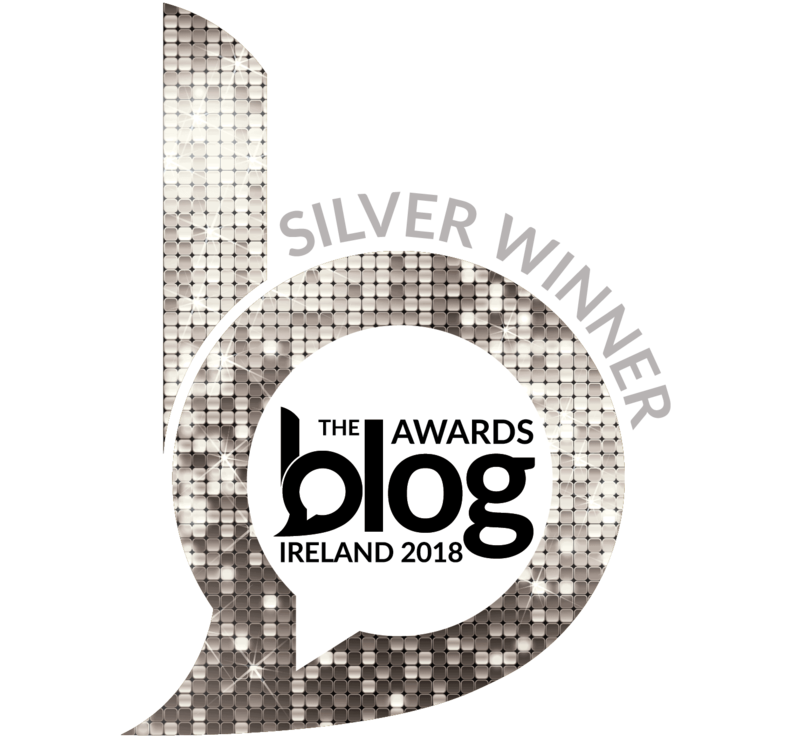 I suppose I don’t write a typical Irish blog. Sometimes I just feel the need to share the ‘real’ Ireland. Thanks for following my ramblings. I know I’m weird but I like the smell of silage. There is nothing like the smell of a open turf fire and I love the smell of a calf! Thank you Mairead I know all those scents you just spoke about 🙂 thank you for sharing. Hi Maureen – It was in your neck of the woods in north Cork that I was first introduced to all the smells of the Irish countryside, and learned to distinguish the many aromas. Glad you enjoyed this little banter about the scents of Ireland. 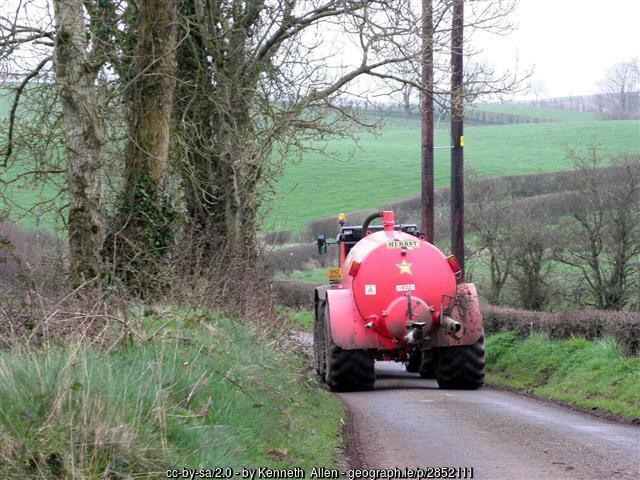 Loved this – the motorways have eliminated some of the stinky experiences on Irish roads. The motorways have made it far easier to get from point A to point B, but the driver misses some of the rural experiences along the way. Overall, the motorways have been a God send in Ireland. A favourite memory of mine is the smell of fresh soda bread baked over a turf fire in my auntie’s farmhouse. I also loved the smell of the haystacks in the fields and listening to the crickets chirruping away inside them. Also the briny, salty smell of the sea on dulce which a lot of people in Donegal loved to chew on! Happy days! Hi Bernadette – Fresh baked soda bread from a bastible (an iron cooking pot) makes an Irish kitchen smell so wonderful. Love all your olfactory memories of Donegal and Ireland. Thanks so much for sharing your stories. With the exception of chickens (and their related fertilizer), I’ve never found the country/farm odors to be objectionable and actually like the smell of silage. Of course, I don’t ever recognize the evidence of a skunk on the road either; so it might just be my shortcoming. I enjoyed all of the country smells in Ireland and they reminded me of the part that is missing in my life today. Your mention of a stinky river in a city, however, is just wrong. A kind breeze never fixes that. In my home town, our river was so abused by industry that it once caught on fire. Talk about being wrong. Of course, anyone who doesn’t like the country aroma can just live it up in the towns and enjoy all the wonderful soup and bread smells. Hi Gene – I’m glad to hear Ireland’s bracing aromas did not interfere with your enjoyment of your trip there. I miss the smells of the country, now that I live in the city. When I worked in NYC and lived in New Jersey, I really missed the smells of Ireland. Now New York is a sensory experience all of its own, with fresh baked bagels and pizza for sale all over the city. I don’t think the Liffey in Dublin has ever caught fire. What a terrible thing to happen in your hometown. I hope that our environmental awareness will only continue to increase so that the days of smelly rivers will soon be a thing of the past. My sister, my niece and I went to Ireland for the first time last October. They teased me because I said I couldn’t wait (amongst everything else) to see what Ireland smelled like. I imagined salty sea air. I’m not sure the places we were (because we went all around Ireland) but the most smells I remember was a burning smell. I thought maybe a lot of the homes had fireplaces and that’s where the smell came from. After reading your post, I’m wondering if it was from the turf burning you spoke of? 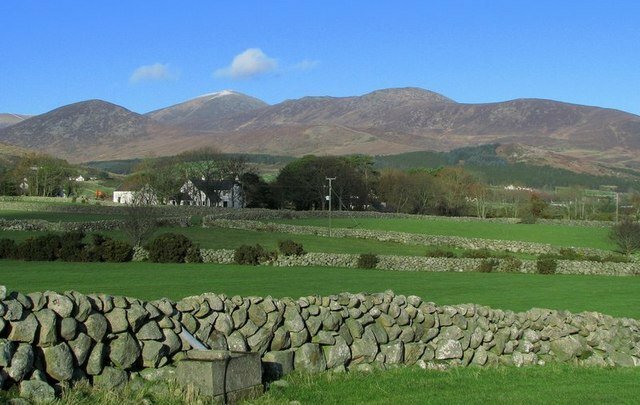 Hi Sheila – In the west of Ireland, from Kerry all the way up to Donegal, that burning smokey smell was probably from turf fires. Especially considering you visited Ireland in October when the evenings turn chilly, most people were probably burning fires to heat their homes, without having to add the extra expense of running central heating. The smell of burning turf brings back happy memories for me. I believe some companies have even created candles to try to replicate this uniquely Irish aroma. You are correct. We did see “Peat Candles” and even some little cuts of compressed turf to be burned in a little pot. 🙂 🙂 🙂 A little piece of Ireland to take back to America – I love how innovative some artists and business people are. 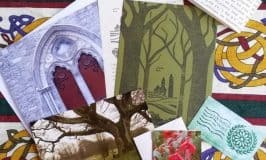 I’m in the process of editing my Ireland-set novel and this post is PERFECT to add some “sensorial detail” to the proceedings! Thank you! Hi Bill – I have read about how important “sensorial detail” is for every novel. I’ve even read that a writer should try to capture all of the five senses at some point in every chapter. Now, that’s a lot of detail in my book. I’m so glad this post will help you add an extra aroma layer to your writing, and help you include those smells that are considered truly Irish. Ha, Ha Ha! Mairead*, I have to say you surprised me with this one! I would be lyin’ if I said the very last thoughts were my favorite, but given that, you have given us all a funny perspective that will cause many a chuckle! Thank you! Hi Irishannie – Glad to hear I took you by surprise with this little aromatic topic. The bracing, healthy smells of the Irish countryside are part and parcel of my childhood memories. And you just have to look on the humorous side when dealing with such invigorating Irish air. Thanks for your article on the different smells around Ireland. I live in Northern Minnesota and we sure get our smells around here. The best smell is burning of pine wood when you make a camp fire. The worst is when the local farmers spread manure that contains dried human waste! Now it’s August and it’s hot and humid, you can just imagine! Hi Dave – Thanks for the warning about the aromas of Northern Minnesota at this time of year. But the scent of burning pine in a camp fire sounds wonderful. My kids love to go camping here in Kentucky. You can’t beat heating marshmallows for smores by a camp fire. Best wishes, and enjoy the rest of the summer days. 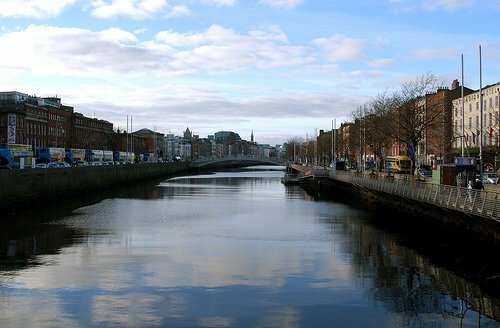 Mairead, as a Dubliner, we all love the Liffey, but when the tide goes out, we call it the Sniffy! I also love the the sweet smell of the air after the rain. Perfumed, fresh and sea-scented. I notice it every time I return to Ireland. Hi Maureen – I remember the “Sniffy” well. Thanks so much for stopping by to check out my aromatic Irish ramblings. Best wishes, from one Dubliner to another. I found your blog while doing a search for what Ireland smells like. I was planning to make an essential oil blend to pass out to my cousins at a family reunion next month. I guess I will not be doing that after all LOL. Hi Jackie – An authentic aroma for your Irish inspired essential oil could be quite interesting. Don’t give up on your idea – you could focus on the smell of fresh cut grass, heather and ocean mists. Just forget about the rural farm inspired scents.